The Biere Club, Lavelle Road is the first brewery in Bangalore to serve craft beers to beer lovers. It’s always pleasure to be at Bierre Club for the lip smacking food and amazing Belgian Wit. It’s one of the restaurants in town to come up with New Menu concept very often! The Biere Club’s prime concept was to serve finger food and platters. However, as part of the current trend they introduced Rice Bowls in the current menu. Also, they realized that people do appreciate Rice & Curries at Pubs. Well, I was here for the exclusive tasting session hosted by Biere Club on Sunday. The lunch started with Mango & Ragi Beers. I am not an expert to judge about the color, texture and bitterness of these beers. But, I liked the Ragi Beer after the Belgian Wit. There were ample starters we tried along with beers! 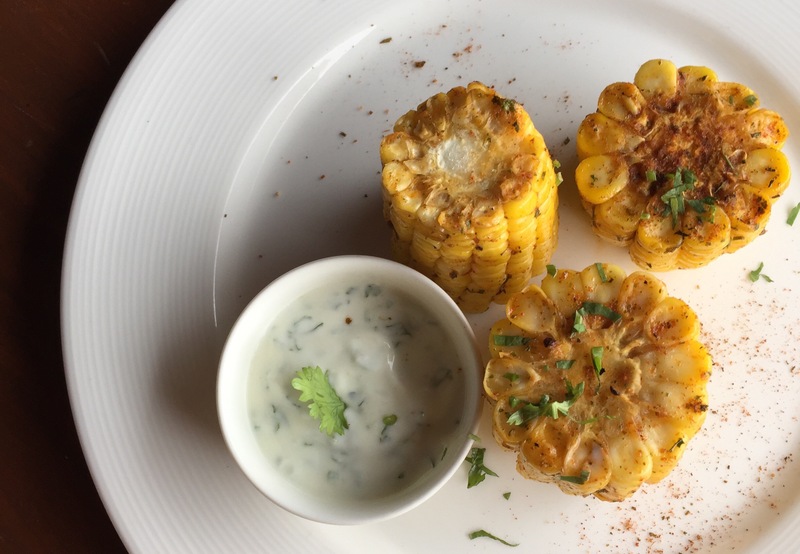 Under Appetizers, Whole Steamed Corn Cobs served with Mayo would be the perfect combo to go with Beers. These were boiled & seasoned and served with Mayo! When I complete gulping of my first Ragi Beer, A huge Mediterranean Mezze Platter arrived on table which consisted of Spinach Rolls, Cous Cous, Chips, Beetroot Dip, Falafel and Many more. I am sure; Mezze Platter cannot go wrong anywhere. The Platter is certainly suitable for 2 to 3 folks and I strongly recommend if you crave for it. I am sure Vegetarian like me would be happy to see Pea Tikki. Well, the Pea Tikki over here had good texture, crispness and right level of seasoning and it was just melted. This is going to be a perfect appetizer for the ones who prefer fried food. These days, Pizza is a perfect companion to beer. 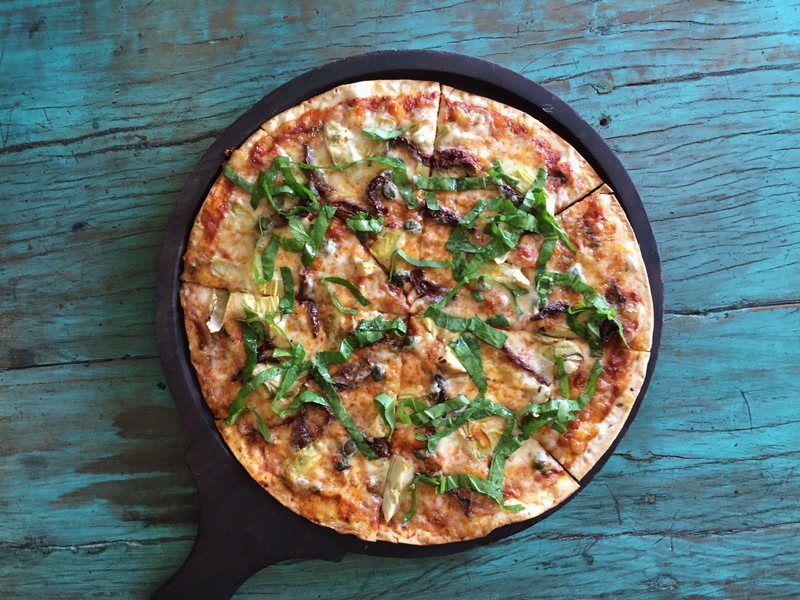 So, The Bierre Club introduced Artichoke, Sundried Tomatoes, Caper and Spinach Thin Crust Pizza. It was pretty decent and can definitely go well in the menu. The Pizza was thin, crispy and sauce distributed accurately and baked with perfection. 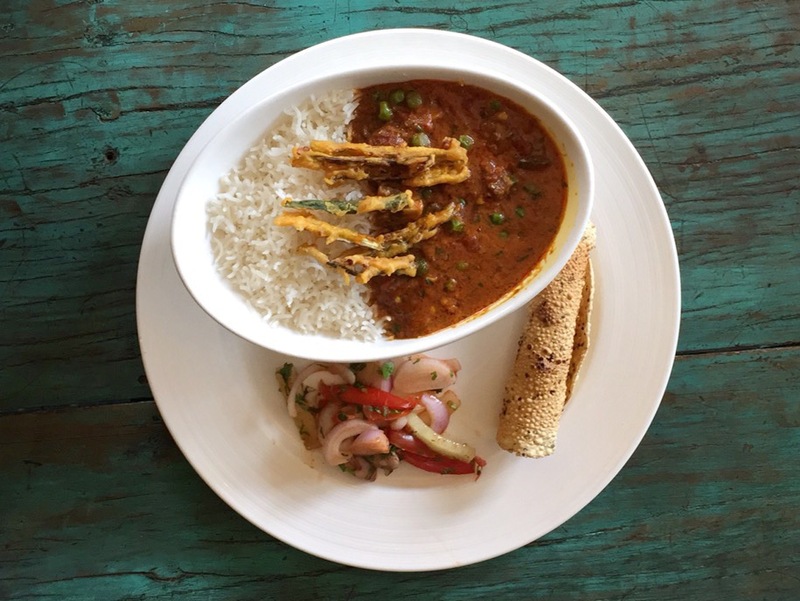 In Main Course, we tried Paneer Tikka Masala and Okra, Mushroom and Green Peas Stew Rice Bowls. I liked Okra, Mushroom and Peas Stew Gravy with rice more than Paneer because of the Spice levels and more Masala. These Bowls again served with Papad and Salad. The portion size is comparatively huge and definitely sufficient for heavy eating person. Our lunch ended with Dessert Platter which consisted of Chocolate Orange Pudding, Wafer Thin Apple Tart and Baked Blueberry Cheese Cake. It was another great experience and would like to Thank Sunaina & The Biere Club folks for having us! Note: This write-up is based on Vegetarian’s prospective and the experience is completely based on my own without anyone’s influence though it’s an Invitation.